Why a Non-Profit Debt Management Plan? There are plenty of reasons why we can fall into credit card problems, and it’s not always about our spending habits. 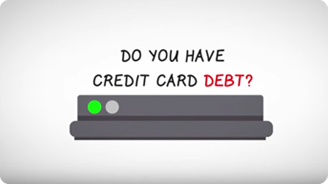 Loss of job, loss of income, divorce, medical bills and other unexpected emergencies can drive us to use our credit cards more than we’d like. Soon we find ourselves struggling with credit card bills, finding it harder and harder to just make the minimum payments. And just making the minimum payments isn’t a solution. Even if you never use a card, it can take between 20 – 25 years to pay off a credit card balance when you’re only making minimum payments. If you’re ready to take positive steps to get your credit card bills under control, and pay off your balances, a Non-Profit Management Plan might be for you. The first step in getting on a management plan is a one-on-one credit counseling session with our Certified Credit Counselors. CCMS will help you look through your finances, and analyze your spending and saving patterns. This helps us to understand how you’re accumulating liabilities, and how you can create a balanced household budget. If we agree that it’s right for you, we will contact your creditors, and help you establish a money management plan. CCMS work with your creditors to lower your interest rate to their pre-established industry guidelines, and let you pay off your credit card bills on a fixed monthly schedule. Most Management Plans take from three to five years to complete. Instead of paying multiple creditors, you simply send us one monthly payment, and we make sure that your creditors are paid. Your credit cards are closed at the beginning of the management program, and at the end of the payment period, your card liabilities are paid in full. Lower or eliminate your interest rates. Stop your late fees or over the limit fees. Consolidate your credit card payments into one monthly payment. Management Plans are regulated at the National level. Interest rate reductions are fixed, and every dollar that you pay to your creditors through a money management plan goes toward your credit card balance. This is NOT credit repair. You pay your balances in full. Assume that you’re carrying $10,000 in credit card bills at 14.9 percent interest. If you pay the monthly minimum at the average rate of 2.5 percent of your balance it will take 25 years to pay your balance, and you’ll pay $9,629 in interest. That’s almost as much as you currently owe. With management help, those numbers look a lot different. While you’re starting with the same $10,000 in credit card bills, but instead of paying 14.9 percent interest, you could pay as little as 1.9 percent interest*. Because your plan is structured, you pay $178 a month for 60 months, and at the end of that time, you are paid in full. At the end, you’re also saving over $9,000 in interest. *Please note: Interest rate deductions are fixed and dependent on the creditor. 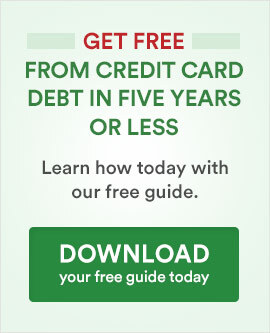 A Management Plan is designed to help you pay off your credit card bills. CCMS is licensed, insured and complies with all state licensing requirements to ensure mandated regulations are followed. CCMS can currently accept clients from all U.S. States except for Kansas, Montana and Utah. Until we are licensed in your state, CCMS will be happy to refer you to another qualified agency. Please call (800) 920-2262 if you have any questions. Our consultations are free, call us any time.